GoodFirms has highlighted the leaders in the USA from AI, IoT, AR & VR industries for their integrity and capability to offer inventive services. WASHINGTON DC, WASHINGTON, UNITED STATES, April 5, 2019 /EINPresswire.com/ -- Currently, many businesses are leveraging artificial intelligence services to make their daily task effortless and reap more profit. Today you can find vary industries using this Artificial Technology such as Chatbots, Human Resource Management, AI in ecommerce, AI to enhance workplace communication, AI in Healthcare, Intelligent Cybersecurity, AI in logistics & supply chain, Sports betting industry, hotels, retails and the list goes on. Entrepreneurs are searching for the best AI companies that can modernise and raise their bar of the business. But they are facing the dilemma to reach excellent AI developers that can assist them with their needs. Thus, GoodFirms has revealed the catalogue of the Top Artificial Intelligence Companies in the United States that are listed based on multiple research criteria’s. The other trending technology is the Internet of Things. It helps entrepreneurs from various industries to increase productivity by assessing the demands and proficiently deal with various stages of production through real-time tracking of each sector of the businesses. At GoodFirms, get connected with Top IoT Companies in the USA that is indexed based on qualitative and quantitative parameters. B2B GoodFirms is an ingenious and globally renowned research, ratings and reviews platform. It builds a bridge for the service seekers to meet the top companies, best software providers and other firms from a wide range of industries. The analyst squad conducts profound research through which every agency is evaluated following three main key factors that are Quality, Reliability, and Ability. These elements are incorporated several other metrics such as identifying the past and present portfolio of each firm, years of experience in the domain area, solid market penetration and feedback from clients for their services. According to the above statistics, all the companies are differentiated with each other and give them the scores that are out of a total of 60. Thus, considering these points, agencies are listed in the catalogue as per their categories. Recently, GoodFirms has also unveiled the Top Augmented Reality & Virtual Reality Companies in the United States based on genuine ratings and reviews. Moreover, GoodFirms encourage service providers by asking them to participate in on-going research. Provide proof of their credibility and ability to work on several projects and grab an opportunity to get listed in most excellent companies. Getting listed at GoodFirms will open the doors for the service providers to associate with global customers and enhance their business on an international level. 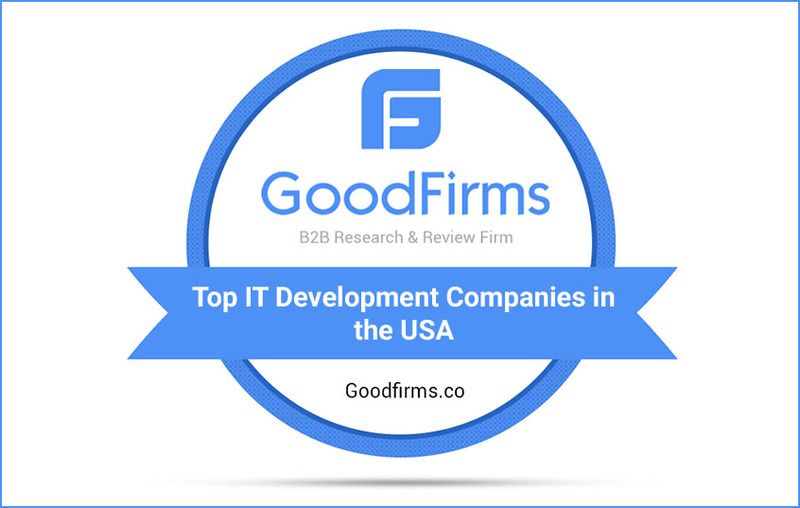 GoodFirms is a Washington, D.C. based research firm that aligns its efforts in identifying the most prominent and efficient IT development companies that deliver results to their clients. GoodFirms research is a confluence of new age consumer reference processes and conventional industry-wide review & rankings that help service seekers leap further and multiply their industry-wide value and credibility.